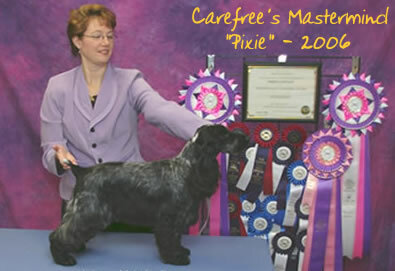 Achievements: Have often wondered if there is ANYTHING that Pixie can’t do? She gave Laurie her first experience in the show ring and from there she was hooked. 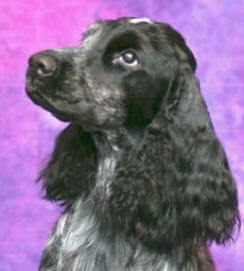 She has competed in conformation, obedience, rally, agility, tracking and most recently, nosework, where she is showing great talent. She is now working on her Nosework 2 title. In her spare time, Pixie enjoys stealing shoes. She never chews on them but loves to steal and hide them! At 12+ years, Pixie is still using that talented nose and is competing in nosework trials.